The U.S. has had an inconstant history of involvement in Central America, with some arguing that it is American foreign policy in the region has caused the instability and inequality at the root of the current crisis. The Trump administration wants to halt funding to Guatemala, Honduras and El Salvador, the State Department confirmed Saturday. 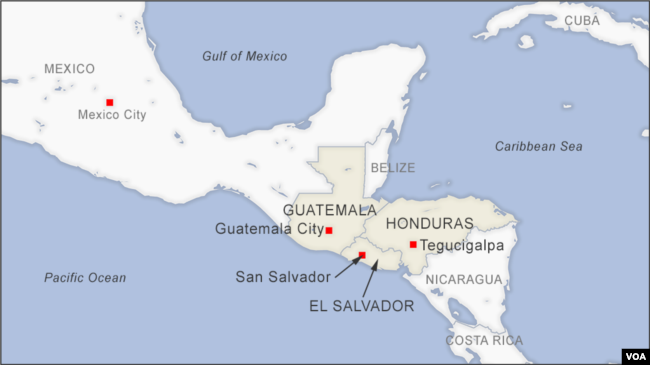 The Northern Triangle refers to the three northern Central American countries of El Salvador, Guatemala and Honduras. The three countries were set to receive about $500 million in aid in the 2018 fiscal year plus millions more that were left over from 2017, according to The Washington Post. The move comes a day after U.S. President Donald Trump said the countries had “set up” migrant caravans that make their way to the United States. “We were giving them $500 million. We were paying them tremendous amounts of money, and we’re not paying them anymore because they haven’t done a thing for us,” Trump said Friday. Trump also warned he was ready to close the southern border if Mexico doesn’t do more to push back migrants. Rep. Joaquin Castro, a Texas Democrat and chairman of the Hispanic Caucus, warned in a statement released Saturday that cutting off aid will further destabilize these countries. “By cutting off desperately needed aid, the administration will deprive El Salvador, Guatemala and Honduras of critical funds that help stabilize these countries by curbing migration push factors such as violence, gangs, poverty and insecurity. 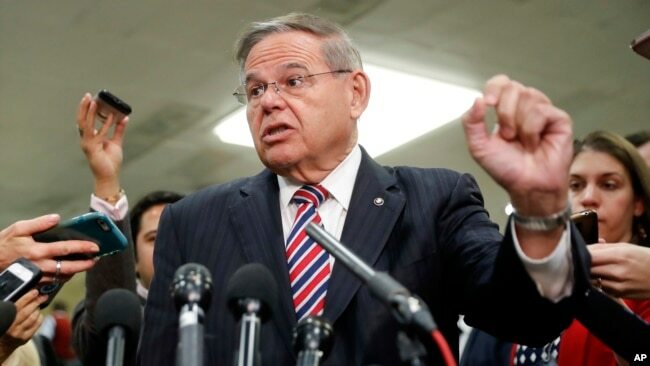 Ultimately, this short-sighted and flawed decision lays the groundwork for the humanitarian crisis at our border to escalate further,” he said. The U.S. has viewed foreign aid programs to Central American countries as a vital component in stabilizing these countries, potentially reducing the flow of immigrants seeking to migrate to the United States. Under the Trump administration, aid to those countries began falling. The U.S. provided about $131 million in aid to Guatemala, $98 million to Honduras, and $68 million to El Salvador in 2016, according to Reuters. The following year the funding fell to about $69 million for Guatemala, $66 million for Honduras and $46 million for El Salvador. Michael Clemens, a senior fellow at The Center for Global Development, says the administration’s strategy to shape migration through aid needs to be done right. “If what the United States wants to do is prevent irregular child migration in a way that works and is cost-effective, it should not do what it has traditionally done — spend 10 times as much on border enforcement trying to keep child migrants out as it spends on security assistance to the region. In fact, smartly packaged security assistance is the only things that have been shown to reduce violence effectively and cost effectively,” he said. Jeff Faux, at the left-leaning think tank the Economic Policy Institute, argues that U.S. policy created the immigration crisis.